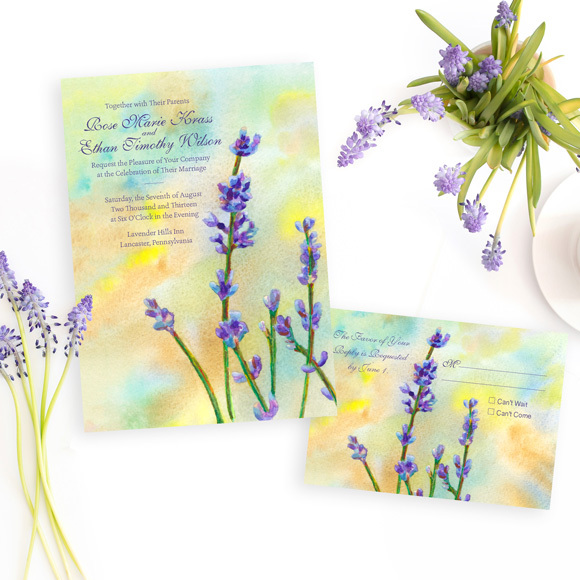 The Lavender Invitation is very breezy and calm. 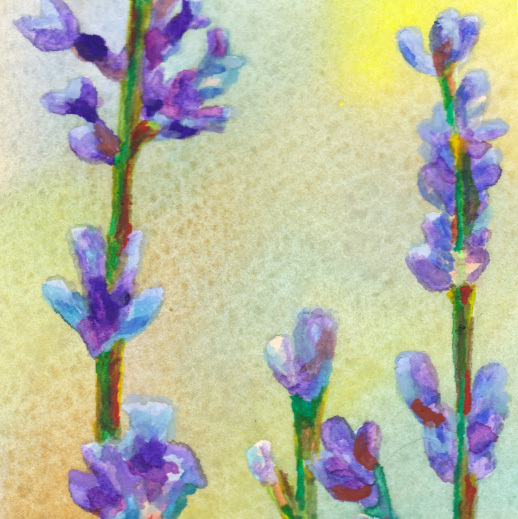 It evokes warm afternoons wandering through the quiet rustle of lavender fields. 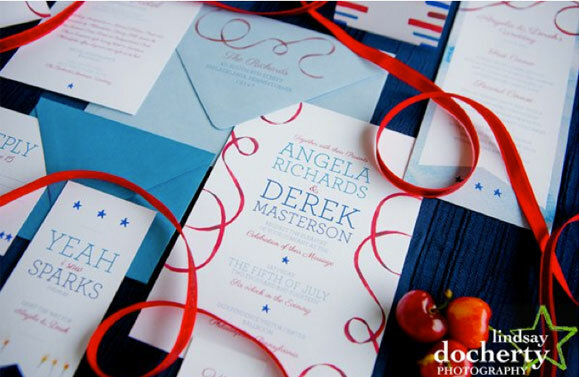 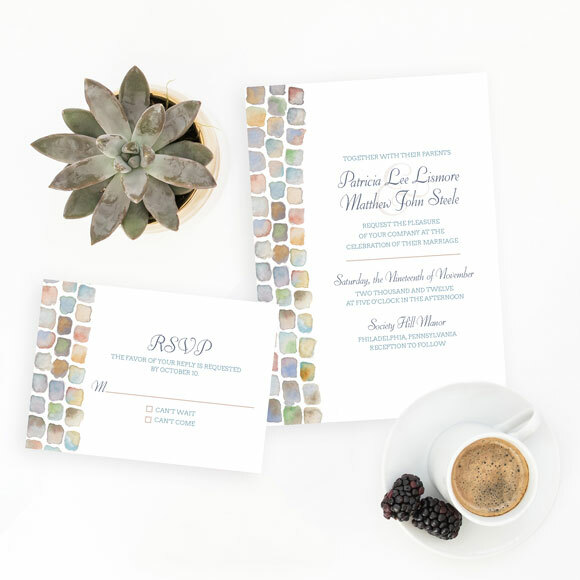 The painterly approach allows this invitation to feel relaxed and breezy. 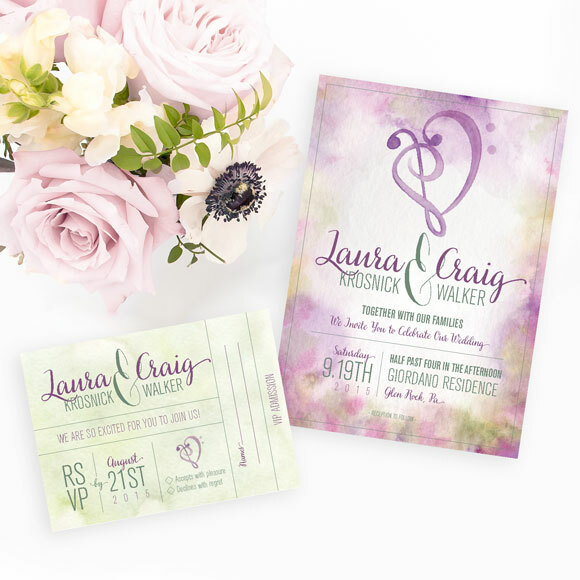 This would be perfect for a couple who loves summertime and wants to incorporate this lovely, calming herb into their big day. 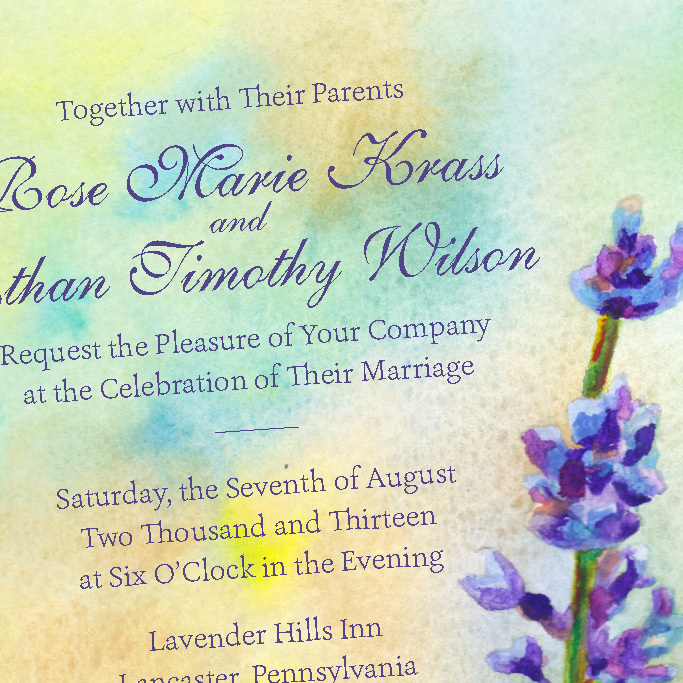 This would also be perfect if the couple was moved by the expansive lavender fields in Provence.